My interest for whisky has made me curious about other spirits as well. Tequila is one of the spirits that can be enjoyed the same way as whisky; room temperature and in a Glencairn glass. I do not know a lot about tequila, but I do know it is made from the blue agave plant and is a distilled beverage from Tequila in Mexico. 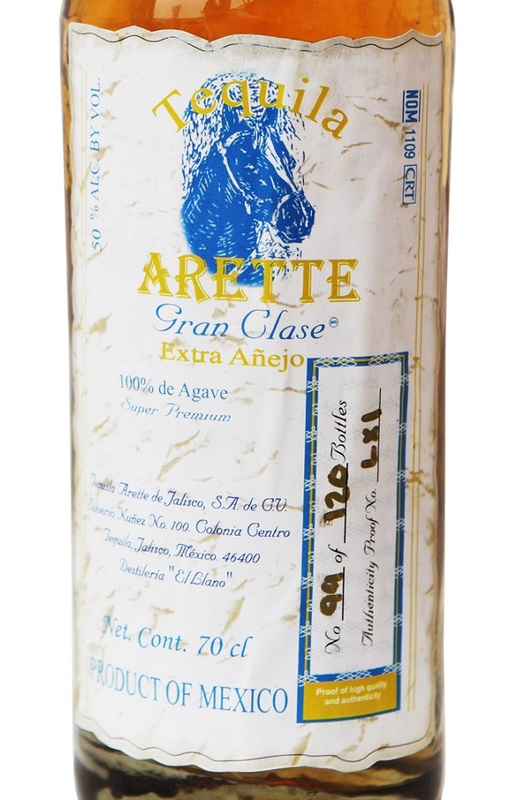 Arette Gran Clase Extra Añejo is a single cask tequila bottled and released by the independent bottler Svenska Eldvatten. Arette is one of the oldest distilleries in the region that still produces tequila. It is located in Tequila. Svenska Eldvatten was not allowed to put their own label on the bottle, but Arette made a special label for them. The tequila is available in Norway at NOK 1 956,70 (item number 1596201) and in Sweden at SEK 1 497 (item number 87759). Nose (22/25): Iodine and aniseed. It reminded me of hospital. Hmm...then I recognized roses, but in a good way. The nose just kept developing and I smelled oak, mint and lime, and then it became more fresh and fruity with peaches and strawberries. In the end there was some washing liquid. A very complex nose! Taste (23/25): The iodine and aniseed were still there. A really warm and rich taste. Some sweetness and grapes. Finish (22/25): A warm and everlasting finish. Just a little bit dry and oaky. Salty licorice and grapes.